Will Loving and Brad Cummings inside Richmond's newly announced innovation hub. When we started CVA Angels, we surveyed about 25 firms and their number one request was for physical space where they would be surrounded by like companies. There are some great co-working facilities in town, but they are not exclusive to startups. A group of long-time Richmond entrepreneur luminaries announced today that it is banding together to create a true high-growth company business incubator. 1717 Partners, led by Will Loving and Brad Cummings, will pull together current aspects of Richmond’s ‘startup ecosystem’ to best support and mature good business concepts. Mirroring efforts such as the American Underground in Durham and the Capital Factory in Austin, the group will provide a physical space where early stage companies are surrounded by the right mix of mentors and funding. In addition, the group is creating a true ‘angel fund’ that evaluates early stage companies and makes investments in same. Loving and Cummings have purchased a 35,000 square foot building at 1717 East Cary Street to house the incubator. They have engaged both Commonwealth Architects and SMBW to help design the space, and Monument Construction as the general contractor. Monument has offered to donate 33% of their fees back to support the effort. They expect the build-out to take about ten months. In the interim they have leased 5,000 square feet at 27 North 17th Street and formed The Annex (http://www.annexrva.com/). The group expects the majority of tenants to move from The Annex to the yet unnamed new space when it opens in late Q3 of 2017. The Annex space will be used as overflow given its proximity to the new space. The group expects to deliver programs in the space as well - classes that help the companies mature more quickly. 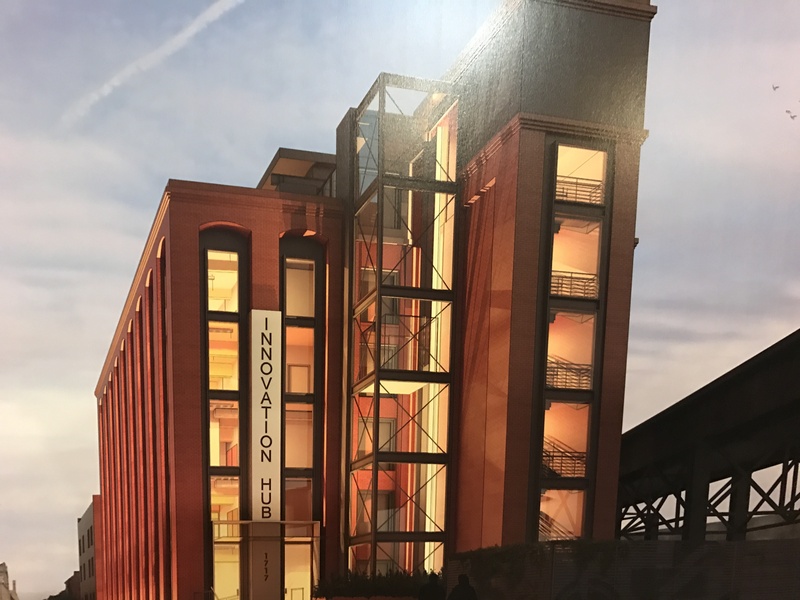 Lighthouse Labs, a local nationally-recognized business accelerator, will move its future company cohorts to the building once it opens. Both the Venture Forum and Richtech have expressed support and plan to be occupants of the building. The Loving/Cummings group is partnering with other types of incubators around Richmond, such as Build, RVA, a maker-oriented incubator. Both parties expect to leverage the new building for joint programs and events. The group has long been partnering with other early-stage business funders such as NRV and Harbert Venture Partners. In addition, a separate part of the entrepreneur-led group is starting a true angel fund, raising money from local investors to invest in regional companies. The fund will work to complement the current CVA Angels group, who makes individual investment decisions. The fund expects to be legally formed and up and running before the end of the year. CVA Angels is an early-stage angel investment group focused on central Virginia. The Annex is an early stage business incubator assisting great young companies in central Virginia. You can reach both at info(at)annexrva.com.